Yesterday saw the release of yet another new feature on the previously named Content Network, now Display Network. The new feature sees the addition of leader-board banner style ads on the Google Images pages. Supposedly adding very targeted searches to a product through images. Previously Released back in July this feature allowed smaller less prominent ads to be displayed on the search pages. You can see the prominent image placement here. But to what effect? I’m not so sure about the way that you use image pages in Google but I’m always on the look out for funny pics or logos or business images for posts etc I’m not so sure that this is a medium that I would necessarily use for shopping on! However having seen the layout above if i were searching for an image of a product to see if it was what i wanted to buy then wow if your display ad is selling that specific product then this could not be more targeted and i would most definitely click through. For anyone who is in the Pay Per Click Management industry the content/display network has always been one of mystry, sceptisism and huge budgetry wasteage but will this now pick out more specific product targeted searches and display or is this yet another cash capture that will be tested to the sums of £100000’s but with no increase in top line? Lets wait to see stats on this before we make judgements…. 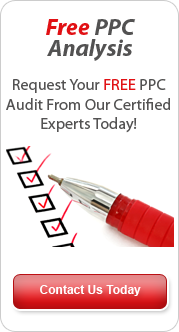 This entry was posted in Pay Per Click Tools, PPC News and tagged adwords, pay per click, ppc. Bookmark the permalink.